If you have a vehicle-based business, you probably already consider the environmental impact of your work. Looking into the future, it’s clear that the green credentials of any business are going to become more important to consumers as the years go by. If you begin to make changes now, you can show your clients that you are forward-thinking and conscientious. The chances are, you’ll save money at the same time because being kinder to the planet often means being more efficient as well. 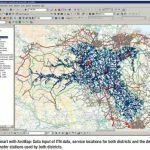 At Integrated Skills, our team can talk to you about some of the innovative approaches that we already work with using our RouteSmart planning software. We’re also open to completely new approaches and look forward to brainstorming with you. Encouraging drivers to change up a gear as soon as they can. When you work with Integrated Skills, we help you create automated reminders for maintenance and efficient route plans that avoid traffic. Our software can also supply data that supports driver training. 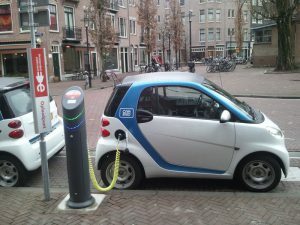 Some driving firms are now considering the use of electric vehicles. If you decide to take this step, you’ll need to think about charging your fleet along with all the other variables you normally have to consider. The flexibility of our RouteSmart software means that we can help you execute the big ideas you have for reducing your environmental footprint. 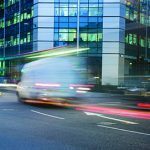 With the introduction of an ultra-low emissions zone in London from 8th April 2019, businesses need to understand how to respond to new and existing restrictions in a way that doesn’t cost them too much. Creative route solutions and considering more fuel-efficient vehicles are just some of the ideas that might help. Before you make big changes, you want to be sure you are taking a step in the right direction. Our RouteSmart software can test new business models before you invest as well as support your changes when they’re up and running.